Sunday we took a trip down to Stone Harbor, NJ. Stone Harbor Point is considered an Important Bird Area (IBA) by the Audubon Society and the surrounding area has many birding hotspots. We visited 3 areas on our Stone Harbor trip: the SH Bird Sanctuary, SH Point Beach, and The Wetlands Institute. Our first stop was the 21-acre Stone Harbor Bird Sanctuary. The sanctuary consists of maritime forests and meadows. The paths were relatively short and sometimes it was difficult to see what birds were around . We ended up seeing/hearing 15 species of birds in our short visit. There were a few Northern Mockingbirds, Gray Catbirds, some Osprey, and House Finches. The second destination was Stone Harbor Point. This was actually our second trip to the Point. The last time we were at the Point was after seeing our first Red Knots at Fortescue Beach in May. At that point it was about to thunderstorm, so I was looking forward to seeing the Point in sunny weather. I definitely was not disappointed. The beach was busy with a variety of shore and seabirds. Three Brown Pelicans and a few Ospreys soared above the waves. As with almost all beaches, there were many gulls, including Laughing, Herring, and Great Black-backed. Black Skimmers floated above a tide pool hunting for fish at a dizzying pace. There were also many terns in different stages of development. Least Terns (mainly adult but a few juvenile) dotted the sand near a tide pool. They looked like little wind-up toys as they shuffled along the beach with their tiny legs. There were a few Forster’s and Common Terns. Two juvenile Common Terns squawked incessantly at a parent who seemed indifferent to their clamor. S/he eventually gave them some fish, but seemed to wonder when their annoying mainly-grown chicks would move out to a different patch of sand and start hunting for their own food 😂. I have to admit, all those terns really tested my identification skills. I’m not the best at terns, so it was challenging but definitely educational. One of the most exciting parts of this trip was having the opportunity to observe a family of American Oystercatchers. (Last year we were lucky to see T2’s family on LBI, you can read about that here). This family had 5 oystercatchers and 4 out of 5 were banded. The adults were A58 and its unbanded mate; the chicks were A78, A79, and A80. I reported the banded birds to the American Oystercatcher Working Group, so I’m excited to learn their story. I’m assuming the chicks were hatched/tagged at Stone Harbor, but curious about A58. Throughout our walk we kept seeing small groups of shorebirds zooming over the waves and beach. They all congregated at the end of the beach in a massive flock. It was a mixed flock of Sanderlings, Semipalmated Sandpipers, Red Knots, and Ruddy Turnstones with gulls interspersed. The shorebirds were also in various stages like the terns were, with many birds transitioning between breeding and nonbreeding plumage. After our awesome walk at the Point, we visited The Wetlands Institute. The Wetlands Institute is an organization aiming to conserve coastal ecosystems as well as educate the public. You can view the beautiful marshland from their lecture hall as well as the observation tower and Salt Marsh trail. We saw at least 10 Ospreys, a Little Blue Heron, Snowy Egrets, and a Great Egret. “Terrapin Station” was all about terrapins and horseshoe crabs. “Secrets of the Salt Marsh” featured a small aquarium with the featured animal being a Common Octopus. Octopuses are fascinating and intelligent creatures. The octopus at the Institute was really cool; I could have watched it all day. The Wetlands Institute was a great way to end our birding excursion to Stone Harbor. There’s something about the end of a calendar year that puts people in a reflective mood. Many people like to think back on the past year and establish goals for the future year. 2017 was a wonderful birding year for Dave and I. We went birding in 5 states, saw some cool rarities, and spent tons of time enjoying nature. So since it’s New Year’s Eve, I wanted to share my favorite birds and birding moments of 2017. My mom, sister, and I observed a American White Pelican at the Jersey Shore on January 6th, a rarity at that time of year! We had our most successful Great Backyard Bird Count so far, by observing 45 different species and over 5,000 individual birds in 4 days! Our first Barnegat Light trip of 2017 included our first time seeing Red-breasted Mergansers at the lighthouse, our first ever Ipswich Savannah Sparrows, and a lone Black Skimmer! A surprise Pied-billed Grebe at Strawbridge Lake! 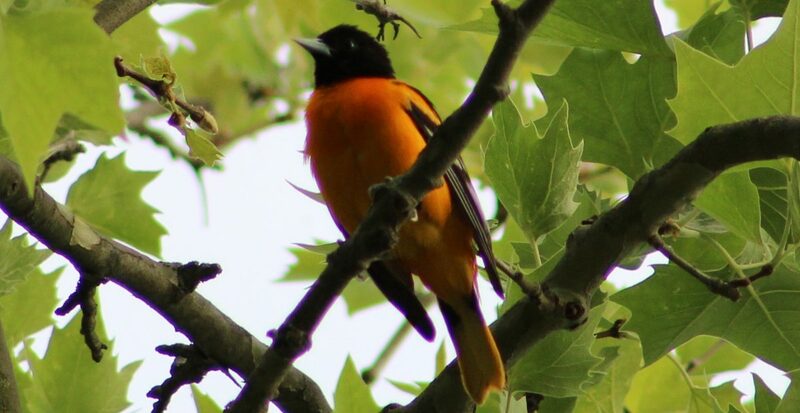 May was filled with tons of great birding moments! Some favorites included: our first Prairie Warbler and hearing a Barred Owl, going on vacation in Maryland and Delaware, and seeing our first Great Horned Owlet. In June we got to reconnected with one of our favorite local celebrities, American Oystercatcher T2 of Barnegat Light, who had a family in tow. We also saw our first Northern Bobwhite and a Least Tern nest! Three words: Double Day Trip! Wood Stork for our birthdays and our first American Birding Expo! Our first Boat-tailed Grackles on our 9 year anniversary! Our first Northern Gannets and the return of winter visitors at Island Beach State Park! Also our first Short-eared Owl at Palmyra. Our first ever Snowy Owl at Holgate! We had a fantastic 2017! I’m looking forward to more amazing birding adventures in 2018. Happy New Year!